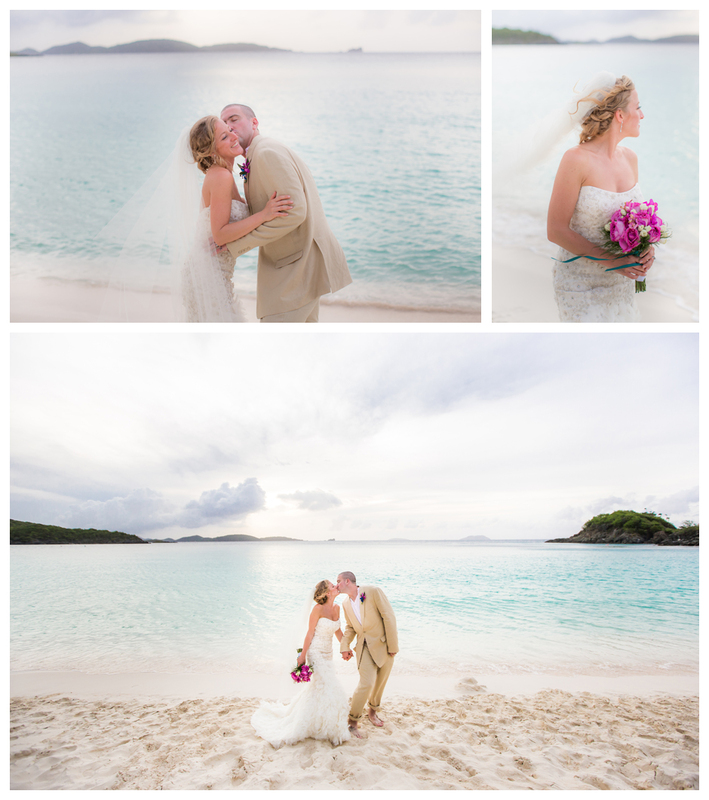 Jen and Peter Brodbeck, Married in St. John, USVI. 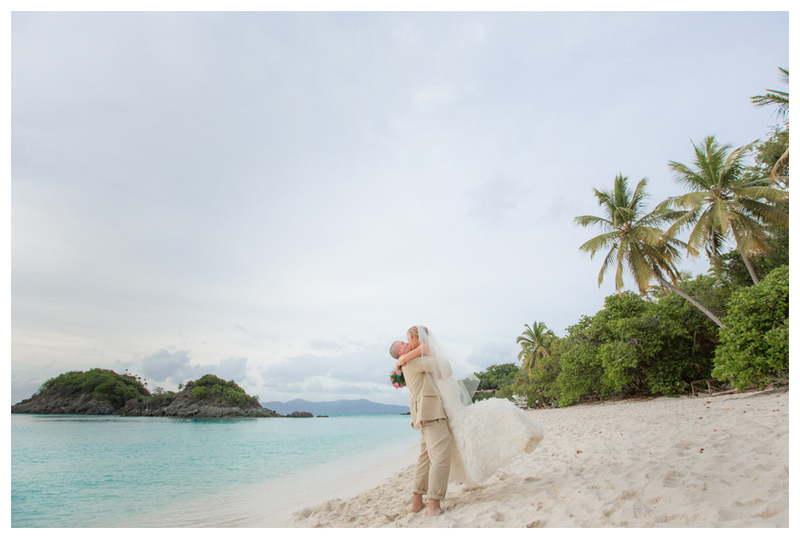 Jen and Peter were married in St. John on May 26th at Annaberg Ruins in the Virgin Island National Park overlooking the gorgeous teal waters of the Caribbean. These two had an amazing week and were joined by friends and family who traveled down to the island to celebrate with them. Jen and Peter knew they wanted to do a destination wedding. Since everyone was scattered throughout the United States they figured if their family and friends were going to buy a plane ticket it might as well be to somewhere beautiful! After looking into a few places they saw photos of St. John, fell in love with the island and the decision was made. They worked closely with Mary of Island Style Weddings who planned their special day and all of the events throughout the week. I had met Peter and Jen a few times before as Peter’s sister, Amanda is a good friend of mine on Nantucket. When we talked about their destination wedding there was no question that I was on board to come along as their photographer for the week not just the weekend, so I could tell their whole story. The adventure started at 5 am when we left Boston the Wednesday before the wedding. Jen was glowing as we went through the security line at Boston Logan Airport holding her wedding dress garment bag and everyone asked her “are you going to get married?” Needless to say it’s absolutely wonderful to spend time photographing the entire journey. The week in St. John was filled with snorkeling adventures, beach days, and lots of laughter. Destination weddings are very special, in St. John everyone was on ‘island time’ and cell phones rarely worked, thus everyone was fully present and truly in the moment. I was so grateful to be part of their week and to photograph all of their adventures. Jen and Peter are such a wonderful, kind and happy couple. They also laugh constantly! They have endless funny stories and I found myself laughing with them all week! Jen and Peter have an incredible group of family and friends. Everyone helped out during the week and we coined our term “it takes a villa” to make it all happen! Denise kept track of time, made lists and was sure that everyone was on time during the wedding day. Brian drove everyone around all the time. 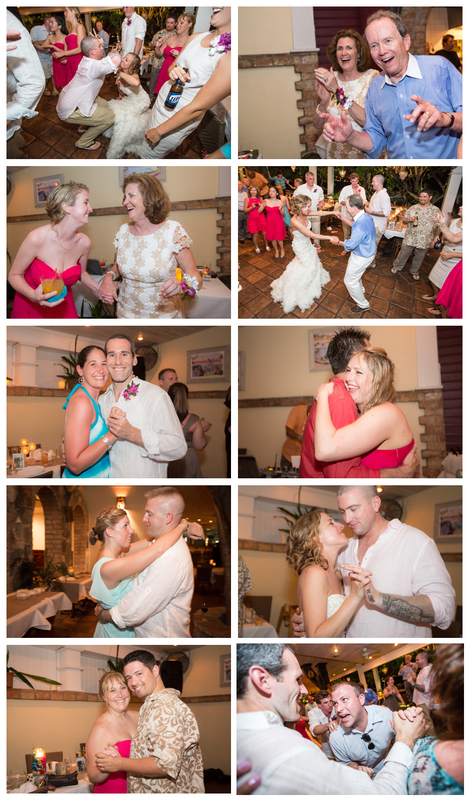 Each and every person who came to the wedding played a special role in Jen & Peter’s wedding festivities. From there Jen and Peter exchanged numbers, began dating and eventually decided to get married in paradise. 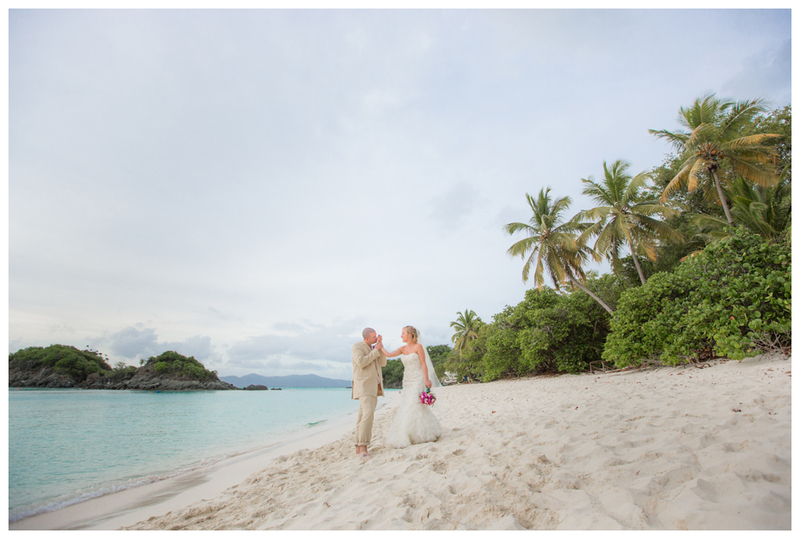 After the ceremony we took photos at Annaberg National Park and Trunk Bay. From there the reception was in full swing at The Waterfront Bistro. DJ Adonis had everyone dancing all night and the party never stopped. I have photographed a lot of amazing dance moves but I must say this group deserves an award for their Gangnam Style and Congo Line around the restaurant. It was a spectacular evening! To see more of the trip you can look at the Maho Bay Post and Jen & Peter’s Rehearsal Dinner Sunset Cruise. The journey began on a very early morning in Boston…. https://i0.wp.com/www.katiekaizerphotography.com/wp-content/uploads/2013/06/12.jpg?fit=940%2C633&ssl=1 633 940 admin http://www.katiekaizerphotography.com/wp-content/uploads/2017/08/KatieKLogo-PinkGray.png admin2013-06-07 14:25:272017-06-13 10:48:56Jen and Peter Brodbeck, Married in St. John, USVI. Jen and Peter, I just had a wonderful journey through your wedding day. The pics are great and Jen you are just the most beautiful bride I have seen. Most of all, I see in your eyes your happiness. Peter is quite a hunk and seems like a lot of fun. I wish I could have attended but it just didn’t work out. I actually had chills watching the pics that is how beautiful it was and just like I was there with you. Your mom looked so happy. I wish for you both a very happy life. Laugh a lot and most of all “respect” each other.